As a woman over 50, you may be looking for some type of supplement to help you lose weight and belly fat or just something that will give you more energy and boost your metabolism a little during a workout. There are a lot of products on the market today that claim to be helpful and do just that. However, be mindful of what you are putting into your body. You must do your research as some of the products being sold today can be really harmful. This is one reason why Capsiplex Sport and regular Capsiplex caught my attention. This is my honest Capsiplex Sport Supplement Review and also regular Capsiplex . The ingredients in Capsiplex and Capsiplex Sport are all natural. I did like that right off the bat. However, just because an ingredient is “natural” does not mean it is safe. However, the ingredients that are in these supplements are well known with well-known benefits for each ingredient. Both Capsiplex and Capsiplex Sport have the same ingredients except for L’Arginine which is an added ingredient in Capsiplex Sport Supplement. Capsaicin comes from hot Chili peppers from the Capsicum Species and is the main ingredient in Capsiplex Sport and Capsiplex that causes “thermogenesis” which in turn causes increased metabolism. Capsaicin is an irritant and could cause stomach upset if too much is ingested. However, Capsiplex Sport and Capsiplex have a protective coating so it does not dissolve in the stomach. Capsaicin is used in topical creams for an analgesic to relieve aches and pains. It is used in pepper sprays too! It is banned in Equestrian sports because of its hypersensitizing and pain relieving properties. You can find Capsaicin in supplements and it may improve your digestion by increasing the digestive fluids in the stomach and by fighting bacteria that could cause an infection. It may also help fight diarrhea caused by bacterial infection. Capsaicin acts as an antioxidant and protects the cells from harmful free radicals. It is thought to thin mucus and move it out of the lungs and also thought to strengthen lung tissues and help to prevent or treat emphysema (COPD). Capsaicin is contraindicated for those with high blood pressure. Niacin is Vitamin B3 and everyone needs it. It is naturally occurring in foods such as greens, meat, poultry, fish, and eggs. In high doses (2 to 3 grams) it is used to decrease triglycerides. It can cause a hot flush and also upset your stomach unless taken with food. Some recommend taking an aspirin or NSAID painkiller, or an antihistamine with it until tolerance develops. Niacin is not without risks. It can cause liver problems, stomach ulcers, changes in glucose levels, muscle damage, low blood pressure and heart rhythm changes. Capsiplex weight loss only has 16mg Niacin so this is not enough to cause damage. If you have liver or kidney disease, diabetes, high blood pressure or cardiovascular problems please talk to your doctor before taking niacin supplements in high doses. I would stick with Capsiplex for weight loss over Capsiplex Sport in this instance. Niacin is safe for everyone in low Dietary Recommended doses. 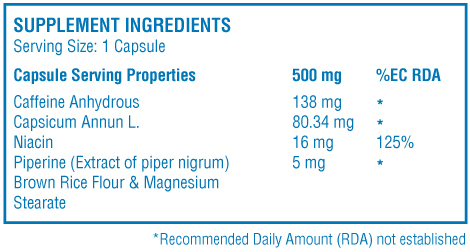 However, I could not find exactly how much niacin is in Capsiplex Sport. As with any supplements, if you have a medical condition, always check with your Physician before taking. Piperine is the active ingredient in black pepper has been shown to have anti-inflammatory properties. is well known to provide beneficial physiological effects. It stimulates the digestive enzymes of the pancreas, protects against oxidative damage, lowers lipid oxidation and enhances the bioavailability of a number of therapeutic drugs. (It is an antioxidant!) I love Black Pepper. I put it on almost everything. You may know that L Arginine is an amino acid. Amino acids are the building blocks of proteins. We obtain it from our diets, especially animal sources such as beef and other types of red meat poultry, fish, eggs, and dairy products. L Arginine has the ability to improve blood flow and circulation. It is converted to Nitric Oxide, which causes blood vessels to open wider. There have been many studies and one shows that L arginine increased cognitive function in elderly people with cerebrovascular disease. Many athletes use L arginine to enhance performance as it increases Nitric Oxide activity in the body. The studies are inconclusive on whether it helps performance. However, a lot of athletes swear by it. I know I really feel great when I take Beet powder . If you love your coffee like I do, you already know that a little caffeine can help you become more alert, helps with focus, and gives you energy. If you love your coffee like I do, you already know that a little caffeine can help you become more alert, focused and energized. There have been studies that also show caffeine before a workout, helps your performance and helps your metabolism stay active long after the workout, thereby burning more calories. The amount of caffeine in one Casiplex is equal to having one cup of coffee. The dosage for Capsiplex Sport is one 30 minutes before your workout taken with water. The dosage for Capsiplex for weight loss is one 30 to 60 minutes before your workout and days that you don’t work out, take one capsule with water before breakfast. 12 times more calories burned for up to 1 hour after exercise. Dr. Karen Vieira has endorsed Capsiplex Sport. You can read about her at karenvieira.com. She has impressive credentials. She has done many reviews and I believe she is very credible. She also mentions the study at the University of Oklahoma where they found that Capsiplex Sport help participants burn an average of 278 more calories before, during and after exercising on a treadmill for one hour. This is because Capsiplex works to increase resting metabolic rate and energy expenditure, as well as burn carbohydrates and fat. Studies on Capsiplex have shown that it has antioxidant effects; lowers blood cholesterol levels, blood triglycerides, and glucose levels; and reduces fat accumulation in the liver. It also improves exercise endurance and performance, so you can exercise more without feeling extra exertion. In addition, [it] boosts oxygen uptake after exercise to make recovery faster. Capsiplex’s patented blending system and pH-sensitive outer coating give users the maximum effectiveness of a highly concentrated capsicum extract without any irritation to the mouth or stomach. I really like this video. It is very candid. Does not state how much of each ingredient is in there. 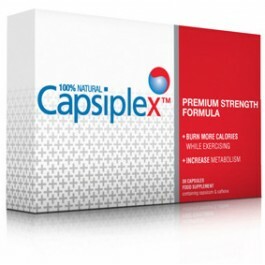 I am familiar with all the ingredients in Capsiplex and Capsiplex Sport. I do know that each one of them does do what is claimed. I believe that these ingredients together does work to help with weight loss and muscle building. However, always be cautious when taking any type supplements. Consult your doctor or health care professional if you have any health conditions. Overall I can recommend this product. I hope you enjoyed Capsiplex Sport supplement review – does it really work? I hope I have helped you decide and I hope you enjoyed reading my review of Capsiplex Sport. If you want to order it you can do it here. I like to hear from readers to know if I have helped you so leave me a comment or if you have a question. I can live with the cons! This sounds like an amazing supplement to help me lose weight while at the gym. I like that I can burn more calories and get where I need to be faster. I am just curious if you have tried Capsiplex before? If so, how has it been working for you? I know that everyone is different and not everyone has the same results. Thanks for your comment. It sounds like you workout and go to the gym. That’s awesome. 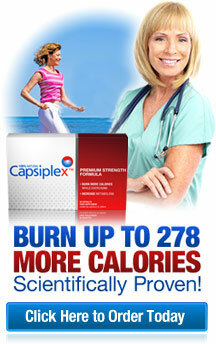 If you need to lose weight, I would suggest trying Capsiplex. I have used Capsiplex and really love how I feel when I work out. I have so much energy! However, I was loosing too much weight as I love to workout. I do a lot of different classes and loved the energy Capsiplex gave me but I don’t need to loose any more weight so I am not taking it right now. I take a lot of the stuff that is in this! L’argentine and Niacin – the flushing kind – not the time released, non flushing. I was a little worried about the amount of caffeine until you pointed out that it is the same as one cup of coffee. I used to take another fat burning supplement with Capsaicin in it – and I learned my lesson – keep it in the capsule!! I tried to dump the powder in a tea because I like to take fewer veggie caps, if possible – and boy was that some HOT tea!! My advice from past experience – don’t open this capsule! Thanks for your comment. L’argentine and Niacin are great to take. I bet you had great muscle recovery with the L’argentine. Capsiplex regular doesn’t have the Largentine just Capsiplex Sport. I think both are great for burning more calories everyday. The Capsaicin in Capsiplex is the main thing to cause “thermogenisis” that increases your metabolism. The caffeine in only like a cup of coffee so it’s not really going to make you jittery. You are right, don’t open the capsule! Thank you for this review. I have been combing the market for energy boosting natural products with little success. It was helpful to know the benefits up front such as weight loss, reduced belly fat, and a good workout supplement. My primary concern was the ingredients, some of which I take individually: capsaicin in tea form, B3 capsules, and L’arginine, of course caffeine. Nice to know it all comes packaged for me. I really appreciate this product review and the thumbs up from Dr. Karen Vieira. It goes a long way in addressing my concerns. Thanks for your comment. I’m all for natural products too. That is why I like Capsiplex so much. I also like the fact that the dose is only one per day. I really like this sport/dietary supplement is natural. I look for that whenever I research anything to help boost my diet and health plan. That is an important first step for me. This looks like something I would be willing to give a try. I will consult with my doctor first as I am on some prescribed medications for a chronic autoimmune disease. Like you said it is important to make sure there is not going to be any complications. I am fortunate enough that my doctor understands my need to look at healthy natural alternatives so she has an open mind and honest opinion that serves my best treatment. I look forward to being able to give this a try. Thanks so much for your comment. I hope you can try Capsiplex and if you do try it make sure to let me know how you like it. I also like the fact that it is all natural. I always look for products that are actually good for you and also work for you. It is so rare to find a diet supplement that is real. Usually it is all hype or possibly dangerous to take. I kind of went into this with that in mind assuming to be proven right, but I see here that this product may actually be helpful for those who are able to take it. That is interesting about the peppers, that may also help with my sinuses. Great article. I’m going to share it as well. Thanks so much for your comment. You are so right. The diet supplements sometimes do not work. It is nice to find one that is actually good for you and also work. Yes, I always find that peppers help with my sinuses too. However, mostly when I am eating them. I don’t know if this pill would help your sinuses or not. Let me know if it does, I would love to know that information.